Income Tax – Payment of Income Tax by State Government on behalf of Hon’ble Ministers for School Education Department for the Financial Year 2018-19 (Assessment year 2019-20) – Sanction of Rs. 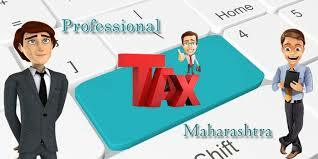 370769/- towards Income Tax - Orders – Issued. 1. From the Government of India Circular No. 05/2011, Minister of Finance Department of Revenue Central Board of Director Taxes, New Delhi, Dt: 16.08.2011. Under Clause (4) of Section 3 of Andhra Pradesh Payment of Salaries and removal of Disqualifications Act, 1953 (Act 11 of 1954), Income Tax on behalf of Sri Ganta Srinivasa Rao Hon’ble Minister for HRD, bearing PAN No. PAN No. ADYPG4435G shall be paid by the State Government taking into consideration the salary and other allowances etc., paid to him, Income Tax is due to be paid for the Financial year 2018-19 (Assessment year 2019 -20). 2. Under Clause (3) of AP Payment of Salaries and removal of Disqualification Act, 1953, sanction is hereby accorded for payment of Rs. 3,70,769/- (Rupees Three Lakhs Seventy Thousand Seven Hundred and Sixty Nine Only) towards Income Tax for the period from March 2018 to February 2019 payable to the Deputy Commissioner of Income Tax TDS Circle 14 (2), Ayakar Bhavan Hyderabad payble by the Government on behalf of Sri Ganta Srinivasa Rao, Hon’ble Ministers for HRD bearing PAN No. ADYPG4435G for the Financial Year 2018 -19. 3. The Expenditure sanctioned in para (2) above shall be debited to the Head of Account “2013 – Council of Ministers – MH – 101 – Salary of Ministers and Dy. Ministers -04 – Salary of Minister and Dy. Ministers – 010 – Salaries. 4. The SE –OP Claims Department are requested to draw the amount sanctioned in para 2 above and credit the same in to the account of the Deputy Commissioner of Income Tax, TDS Circle 14 (2) Ayakar Bhavan, Hyderabad.